Situated in the beautiful tiny village of Cabras, in the Province of Oristano, Ittica Cabras is a young and dynamic company which deals with the fishing industry. The society born in 1999, is run by the volcanic Fausto Loddo, but its roots date back in time to almost five generations of fishermen. Thanks to the proved experience of the Loddo-Amadu family, Ittica Cabras is an affirmed company in the trade either at wholesale or retail of a wide variety of local and imported fish products both fresh, live and frozen. The flagship of the company is the production of the precious Bottarga obtained either from local or imported mullet eggs. 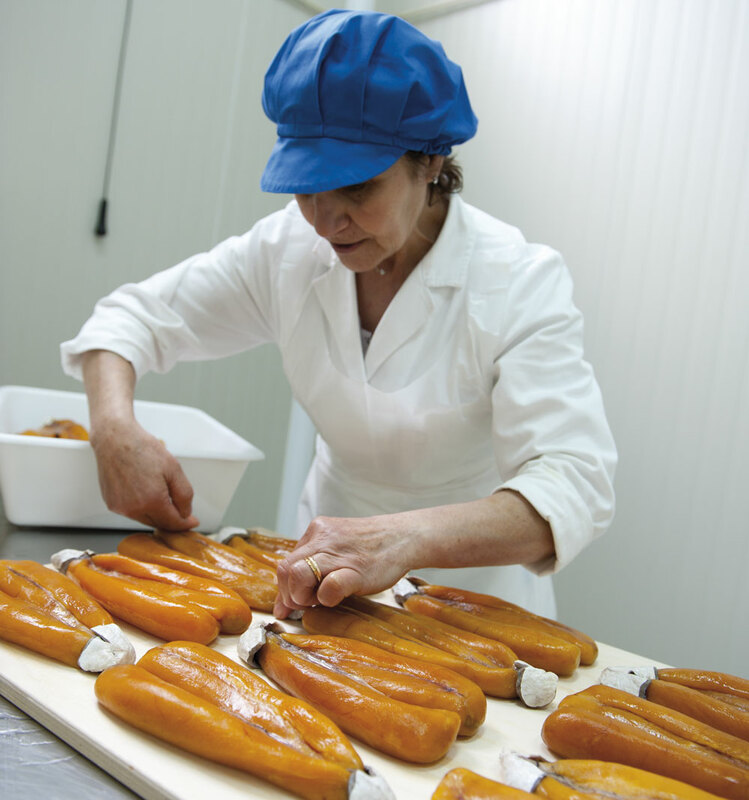 Combining the most innovative and modern technologies with the ancient family knowledge and traditions, Ittica Cabras, thanks to Mrs Amadu’s wisdom, is able to bring to life again one of the most famous culinary products of Cabras tradition: Bottarga. Handcrafted without the use of any chemical additive or artificial dryer, Bottarga is constantly monitored according to the most strict sanitary standards that makes of it a real masterpiece of taste all to discover and enjoy.